Vicki Martin Music - Who is Vicki Martin? 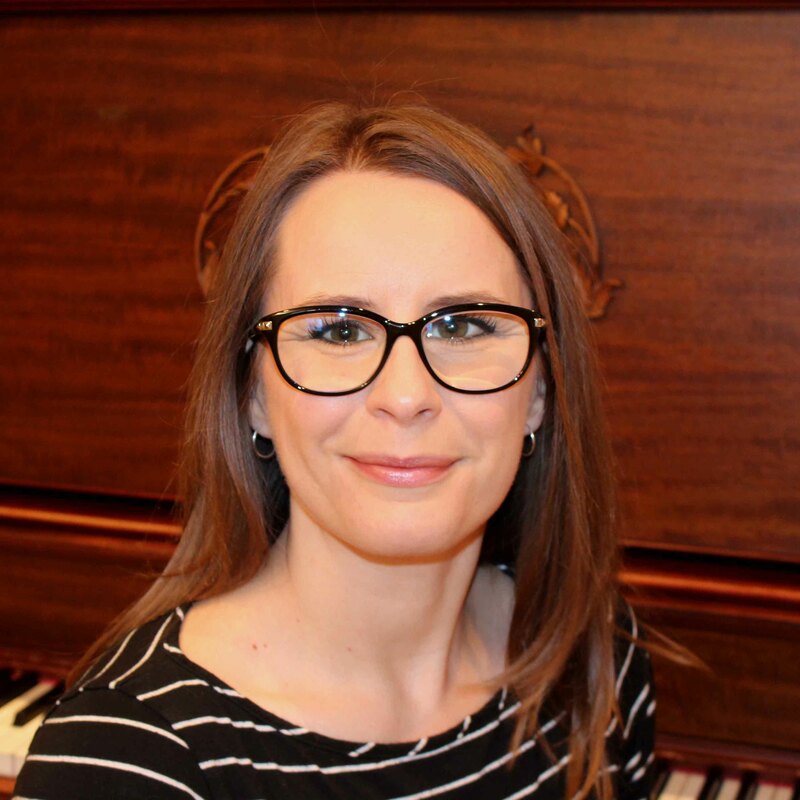 Vicki Martin holds an ARCT in Piano Performance with the Royal Conservatory of Music and a Bachelor of Church Music degree from Ambrose University Co llege. 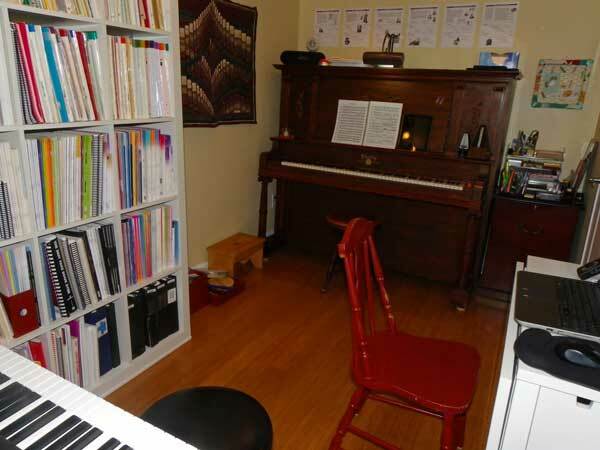 She is a Registered Music Teacher with the Alberta Registered Music Teachers' Association and a member of the Alberta Piano Teachers' Association. She has over 15 years of teaching experience, not including the teaching she did while still in high school. She maintains a relatively small studio of about 20 students to make time for her own school-aged children. Vicki started playing piano at the age of 9 and was part of children's and youth choirs. With the church music director as her piano teacher, it wasn't long before she was expected to play in church and with their youth band. This was a church where she was expected to play using only chord charts, lead sheets, or no music at all. She learned to play "by ear" and improvise, which she came to see were vital and essential skills. Just as learning a second language usually involves both hearing it and seeing it, she believes that both the written tradition of learning to make music from a score and the aural tradition of learning to make music by hearing it are both essential and complementary. While she will also focus on one skill over the other with an individual student if that is their preference, she includes both a lot of sight reading and a lot of ear training. Her goal is that whenever the lessons end, whether that's after one year or ten, that her students will continue to play for the rest of their lives.